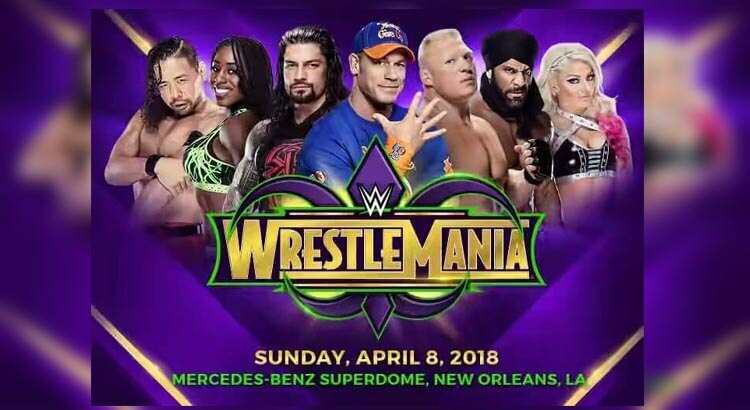 WWE WrestleMania 34 : What Would Be Awesome? Home Sport WWE WrestleMania 34 : What would be Awesome? The annual festival of WWE is popularly known as the WrestleMania and till now, there are 33rd WrestleMania has happened and WrestleMania 34 is on the road. Talking about the Universal Championship, Brock Lesnar is the current holder of this position since he won it against Goldberg and Roman Reign won this opportunity to stand against Brock Lesnar in Elimination Chamber. However, in the 33rd WrestleMania, Roman Reign won the same title against The Undertaker. Talking about the WWE Championship, AJ Styles is the current holder of this title. Shinsuke Nakamura recently debuts in the WWE after New Japan Pro Wrestling. In the 30 man Royal Rumble, Nakamura beat Roman Reign in the end and grabbed the opportunity to stand against AJ Styles for WWE Championship. This is going to be the main match of the event. Also, Read: Why Nakamura VS AJ Styles in the best decision for WM smackdown? Bliss and Jax were real-life best friends until Bliss made some sarcastic and insulting comments over Jax’s weight and other things. This lead to the new rivalry between two BFFs. This is going to be one of the amazing matches. Flipping brands to SmackDown is a great move for Asuka and also, her continuing undefeated streak by beating Flair would be an even better development. Predictions were there that Braun Strowman would knock down The Miz but it didn’t happen. He was occupied for RAW Tag Team championship. However, the match gets more exciting as now, the three superstars will fight for the title. Finn has already shown his calibre in the 30 man Royal Rumble match. He came on 2nd place and exited on 26th place. Rest the two are already biggest superstars. Unlike previous United Championship Events, this year, the level of excitement for the title is low as Orton has already won the only WWE singles title he had not held at Fastlane. In the 33rd WrestleMania, The Undertaker lost the title of WWE Championship against the Roman Reign and after that, The Undertaker took retirement. However, his last wished was that he could have a match with John Cena. And people were hoping for the same. Well, for all of Undertaker lovers, there is a good news. The Undertaker is healthy now and it might be possible that he would come back in this WrestleMania 34 and the match ‘The Undertaker vs. John Cena’ would possibly happen.